It was the third time in a week that the air-conditioning had gone out at the Hospital de Clinicas, and the heat was so heavy that the nurses had taken to holding battery-operated plastic fans over the intensive-care patients in an effort to keep them cool. Three hundred had come in a box, a present from a grateful stroke survivor in the import-export business, one of the few users of the state hospital who still felt dollar-rich enough to give things away. The blue plastic fans, however, had turned out to be almost as reliable as his promises of further drugs and medical equipment. All over the hospital, as the air dripped with the noisy heat of a Buenos Aires summer, you could hear the sudden "ÁHija di puta!" of the nurses-even the normally devout ones-as they had to beat them back into life. I didn't notice the heat. I was trembling with my own cool fear, that of a newly qualified midwife who has just been told they will be delivering their first baby. Beatriz, the senior midwife who had overseen my training, announced this with a deceptively casual air and a hard slap on my shoulders as she went off to see whether she could steal any food from the geriatric ward to feed one of her new mothers. "They're in Two," she said, gesturing to the delivery room. "Multigravida, three children already, but this one doesn't want to come out. Can't say I blame it, can you?" She laughed humorlessly, and shoved me toward the door. "I'll be back in a few minutes." Then, as she saw me hovering by the door, hearing the muffled wails of pain inside, said, "Go on, Turco, there's only one end it can come out, you know." I walked into the delivery room with the sound of the other midwives' laughter still in my ears. I had planned to introduce myself with some authority, to reassure myself as well as my patient, but the woman was kneeling on the floor pushing at her husband's face with a white-knuckled hand, and mooing like a cow, so I thought a handshake inappropriate. "She needs some drugs, please, Doctor," said the father, as best he could through the palm against his chin. His voice, I realized, held the deference with which I addressed my hospital superiors. "Oh, sweet Jesus, why so long? Why so long?" She was crying to herself, rocking backward and forward on her haunches. Her T-shirt was drenched with sweat, and her hair, scraped back into a ponytail, was wet enough to reveal pale lines of scalp. "Our last two came very quickly," he said, stroking her hair. "I don't understand why this one won't come." I took the notes from the end of the bed. She had been in labor almost eighteen hours: a long time for a first baby, let alone a fourth. I fought the urge to shout for Beatriz. Instead I stared at the notes, attempting to look knowledgeable, and tried mentally to recite my way through medical checklists to the sound of the woman's keening. Downstairs, in the street, someone was playing loud music in their car: the insistent synthesized beat of cumbia. I thought about closing the windows, but the idea of that dark little room becoming even hotter was unbearable. "Can you help me get her on the bed?" I asked her husband when I could stare at the notes no longer. When we had hoisted her up, I took her blood pressure and, as she grabbed at my hair, timed her contractions and felt her stomach. Her skin was feverish and slippery. The baby's head was fully engaged. I asked her husband about her previous history, and found no clues. I looked at the door and wished for Beatriz. "Nothing to worry about," I said, wiping my face, and hoped that there wasn't. It was then that I saw the other couple, standing almost motionless in the corner of the room by the window. They did not look like the normal visitors to a state hospital: they would have been more suited, in their bright, expensive clothes, to the Swiss hospital on the other side of the plaza. The woman's hair, which was expensively colored, was pulled back into an elegant chignon, but her makeup had not survived the sweltering 104-degree heat, and had settled in lines and pools around her eyes, and was now sliding down her shining face. She held her husband's arm and stared intently at the scene in front of them. "Does she need drugs?" she said, turning to me. "Eric could get her drugs." She looked too young to be the woman's mother, I thought absently. "We're too far along for drugs," I said, trying to sound confident. They were all looking at me expectantly. There was no sign of Beatriz. "I'll just give her a quick examination," I said. No one looked like they were going to stop me, so I was left with no option but to do one. I placed the pregnant woman's heels against her buttocks and let her knees drop. Then I waited until her next contraction and, as gently as I could, felt around the rim of the cervix. This could be painful in advanced labor, but she was so tired by then that she barely moaned. I stood there for a minute, trying to make sense of it. She was fully dilated, yet I couldn't feel the baby's head. Suddenly I felt a little leap of excitement. I gave them all a reassuring smile and moved to the instrument cupboard, hoping that what I was seeking had not yet been looted by another department. But there it was-like a small, steel crochet hook: my magic wand. I held it in my palm, feeling a kind of euphoria at what was about to happen-about what I was about to make happen. The air was rent by another wail from the woman on the bed. I was a little afraid to do this unsupervised, but I knew it was not fair to wait any longer. And now that the fetal heartbeat monitor no longer worked, I had no way of knowing if the baby was in distress. "Keep her still, please," I said to the husband and, timing carefully between contractions, reached in with the hook and nicked a tiny hole in the extra set of waters that I'd realized were blocking the baby's progress. Even above the woman's moans, and the traffic outside, I heard the beautiful tiny popping sound as the soft membrane conceded to me. Suddenly there was a gush of fluid and the woman was sitting up and saying, with some surprise and not a little urgency, "I need to push." After that I don't remember much clearly. I remember seeing the soft, shocking thatch of dark hair, then grabbing the woman's hand and placing it there so that she could be encouraged by it too. I remember instructing her to push, and that when the baby began to emerge I was shouting as loudly as I had when I went to football matches with my father, with relief and shock and joy. And I remember the sight of that beautiful girl as she slithered into my hands, the marbled blue of her skin turning a rapid pink, like a chameleon's, before she let out a welcome lusty cry of outrage at her delayed entry into the world. And, to my shame, I remember that I had to turn my head because, as I clipped the cord and laid her on her mother's chest, I realized that I had begun to cry, and I did not want Beatriz to give the other midwives something else to laugh about. Beatriz appeared at my shoulder, mopping at her brow, and gestured behind her. "When you're done," she said quietly, "I'm going to nip upstairs and see if I can find Dr. Cardenas. She has lost a lot of blood, and I don't want her to move until he's taken a look." I hardly heard her, and she knew it. She kicked my ankle. "Not bad, Ale," she said, grinning. It was the first time she had called me by my real name. "Next time you might even remember to weigh the baby." I was about to respond in kind, but I became aware that the atmosphere in the room had changed. Beatriz did too, and halted in her tracks. Where normally there was the enraptured cooing of the new mother, the soft murmur of admiring relatives, there was only a quiet pleading: "Diego, no, no, Diego, please . . ."
The smartly dressed couple had moved beside the bed. The blond woman, I noticed, was trembling, a peculiar half-smile on her face, her hand reaching tentatively toward the baby. The mother was clutching the child to her chest, her eyes closed, murmuring to her husband, "Diego, no, no, I cannot do this." Her husband was stroking her face. "Luisa, we agreed. You know we agreed. We cannot afford to feed our children, let alone another." She would not open her eyes, and her bony hands were wrapped around the overwashed hospital shawl. "Things will get better, Diego. You will get more work. Please, amor, please, no-"
Diego's face crumpled. He reached over and began, slowly, to pry his wife's fingers off the baby, one by one. She was wailing now: "No. No, Diego, please!'" The joy of the birth had evaporated, and I felt sick in the pit of my stomach as I realized what was happening. I made to intervene, but Beatriz, with an unusually grim expression on her face, stayed me with a tiny shake of her head. "Third one this year," she muttered. Diego had managed to take the baby. He held her tight to his chest without looking at her, and then, his own eyes closed, held her away from him. The blond woman had stepped forward. "We will love her so much," she said, her reedy upper-class accent trembling with her own tears. "We have waited so long . . ."
The mother became wild now, tried to climb from the bed, and Beatriz leaped over and held her down. "She mustn't move," she said, her voice sharpened by her own unwilling complicity. "It's very important that you don't let her move until the consultant is here." Diego wrapped his arms around his wife. It was hard to tell whether he was comforting her or imprisoning her. "They will give her everything, Luisa, and the money will help us feed our children. You have to think of Paola, of Salvador . . . Think of how things have been-"
"My baby!'" screamed the mother, unhearing, clawing at her husband's face, impotent against Beatriz's apologetic bulk. "You cannot take her." Her fingernails left a bloodied welt, but I don't think he noticed. I stood by the sink as the couple backed toward the door, my ears filled with the raw sound of a pain I have never forgotten. And to this day I cannot remember any beauty in the first baby I brought into this world. I remember only the cries of that mother, the expression of grief etched on her face, a grief I knew, even with my lack of experience, that would never be relieved. And I remember that blond woman, traumatized, yet determined as she crept away, saying quietly: "She will be loved." A hundred times she must have said it, although no one was listening. The train had made six unscheduled stops between Norwich and Framlington, and the infinite glacial blue sky was darkening, although it wasn't even teatime. Several times Vivi had watched the guards jump down with their shovels to scrape another snowdrift from the tracks, and her impatience at the delay was now offset by a perverse satisfaction. "I hope whoever's picking us up has snow chains on," she said, her breath clouding the carriage window so that she had to smear a viewing hole with her gloved finger. "I don't fancy pushing a car through that." "You wouldn't have to push," said Douglas, from behind his newspaper. "The men'll push." "In boots like yours, yes." Vivi looked down at her new Courrges footwear, quietly pleased that he had noticed. Completely unsuitable for the weather, her mother had said, adding sadly to Vivi's father that there was "absolutely no telling her" at the moment. Vivi, usually compliant in all things, had been uncharacteristically determined in her refusal to wear Wellingtons. It was the first ball she had been to unchaperoned, and she was not going to arrive looking like a twelve-year-old. It had not been their only battle: her hair, an elaborate confection of bubble curls swept up on her crown, left no room for a good woolen hat, and her mother was in an agony of indecision as to whether her hard work in setting it had been worth the risk of her only daughter venturing into the worst winter weather on record with only a scarf tied around her head. "I'll be fine," she lied. "Warm as toast." She offered up silent thanks that Douglas couldn't tell she was wearing long johns under her skirt. They had been on the train almost two hours now, an hour of that without heating: the guard had told them that the heater in their carriage had given up the ghost even before the cold spell. They had planned to travel up with Frederica Marshall's mother in her car, but Frederica had come down with glandular fever (not for nothing, Vivi's mother observed drily, was it called the "kissing disease") and so, reluctantly, their parents had let them travel up alone on the train instead, with many dire warnings about the importance of Douglas "looking after" her. Over the years, Douglas had been instructed many times to look after Vivi-but the prospect of Vivi alone at one of the social events of the year had apparently given this a weighty resonance. "Did you mind me traveling with you, D?" she said, with an attempt at coquettishness. "Don't be daft." Douglas had not yet forgiven his father for refusing to let him borrow his Vauxhall Victor. "I simply don't know why my parents won't let me travel alone. They're so old-fashioned . . ."
She'd be all right with Douglas, her father had said, reassuringly. He's as good as an older brother. In her despairing heart, Vivi had known he was right. She placed one booted foot on the seat next to Douglas. He was wearing a thick wool overcoat, and his shoes, like most men's, bore a pale tidemark of slush. "Everyone who's anyone is going tonight, apparently," she said. "Lots of people who wanted invites couldn't get them." 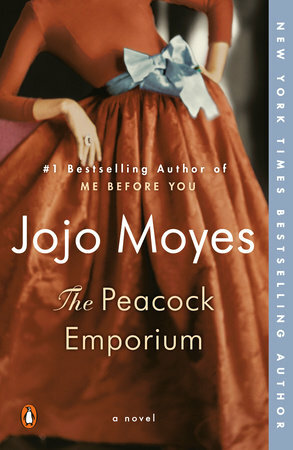 Excerpted from The Peacock Emporium by Jojo Moyes. Copyright © 2019 by Jojo Moyes. All rights reserved. 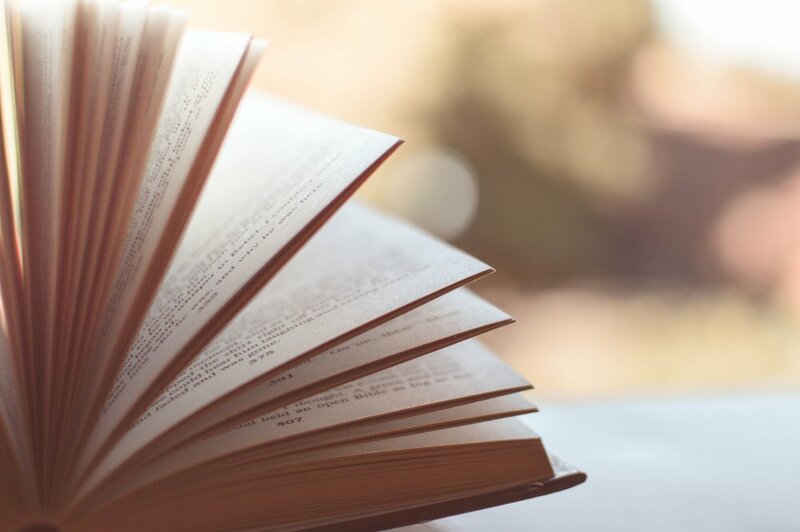 No part of this excerpt may be reproduced or reprinted without permission in writing from the publisher.